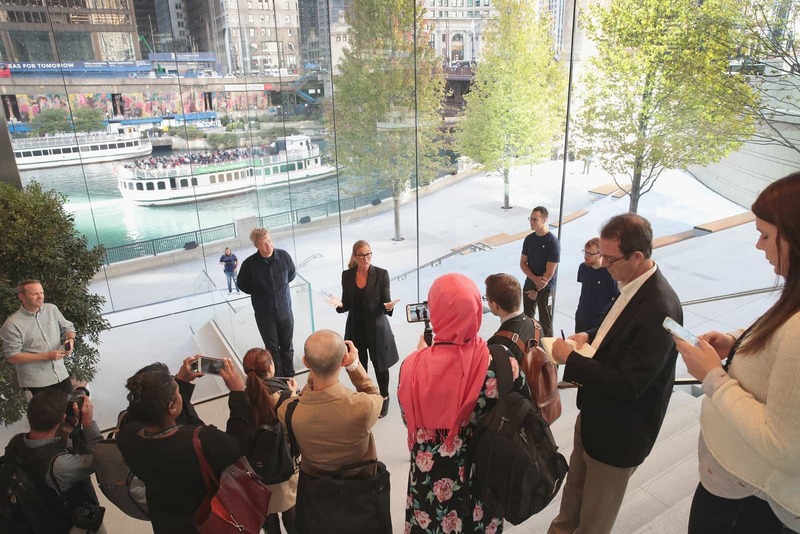 Former Burberry CEO Angela Ahrendts has been reinventing Apple Stores to be thriving community centers at a time when traditional retail has taken a hit. While retail as a whole has taken a major hit with well known chains like Macy’s cutting jobs and closing stores, others declaring bankruptcy and many shoppers turning to Amazon increasingly, Apple has chosen to reinvest in retail. 2015 was a difficult year for iPhone sales in the U.S. with only 11% of Americans buying new phones at Apple Stores and majority of consumers going directly to their telecommunication providers, usually with low-cost leasing deals tied to longer contracts. Apple’s primary sales have been direct through their website, second only to Amazon. 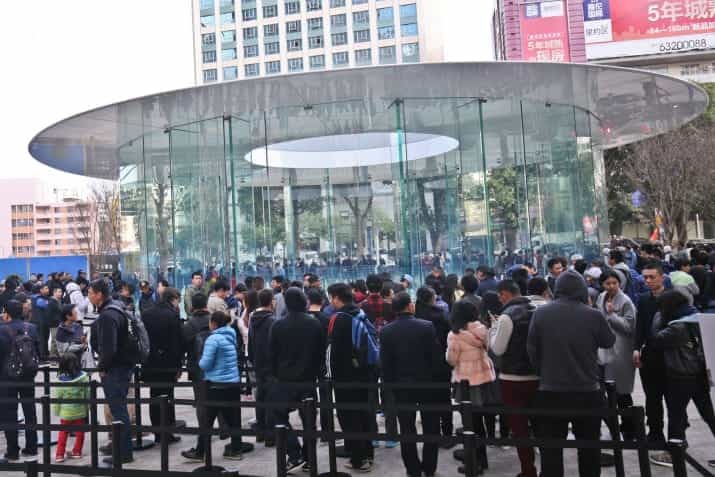 Despite this, retail is pivotal to Apple strategy with CEO Tim Cook stating on numerous occasions that Apple Stores are more than just places to browse new gadget and fix broken devices. Spearheading this initiative is Angela Ahrendts, former CEO of Burberry known for revitalizing the older iconic British brand and making it relevant and appealing to a wide audience, while tripling its value. 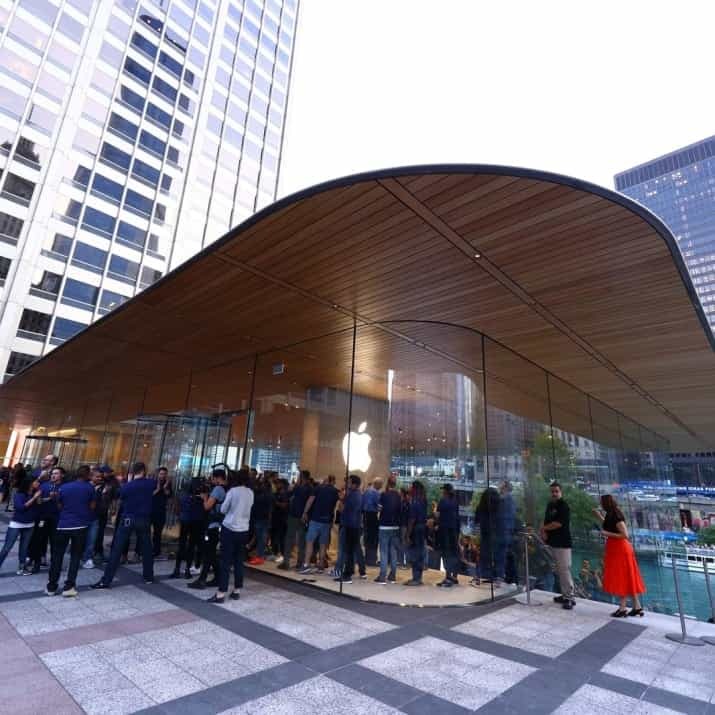 In fact, Apple Stores have greater sales per square foot than any other retailer in the world, even more than high-end jewelry stores and car dealerships. Each square foot of Apple Store real estate translated to $5,546 in annual sales in 2017. One of the first steps Ahrendt has made is to tie in online purchases to physical stores where you can buy online and pick it up in store. 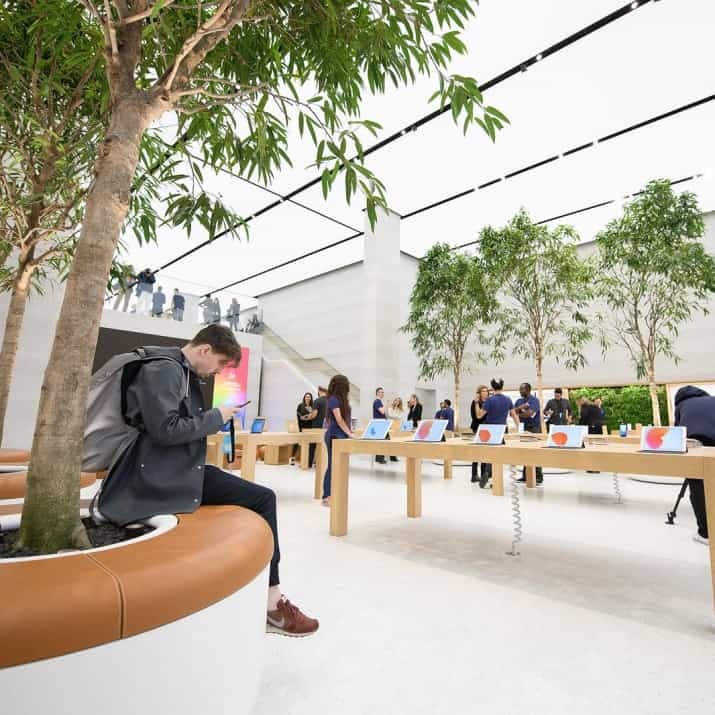 After taking over from John Browett, Ahrendt has been redesigning all 400 Apple Stores beginning with a new retail initiative Today at Apple. Steve Jobs insisted on building “the whole widget” where Apple took charge of creating the entire computer and thus provided a complete user experience. In similar fashion, Ahrendt compares the retail team to ‘hardware’ and the store itself to the ‘software’ working together as a cohesive whole. “It used to be that 80/20 rule — [malls] would be 80% shopping and 20% experience. It’s got to go the opposite now, because all the shopping you can do faster, cheaper, etc., online,” Ahrendts said in an interview with LinkedIn this past May.